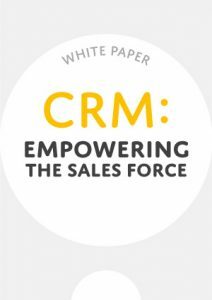 In this ebook we are going to get very specific: we’re going to be dealing with sales management through CRM. 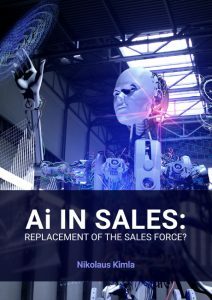 Now AI is establishing an ever-widening presence in the CRM industry. Where does artificial intelligence really fit today, and what are its limitations? 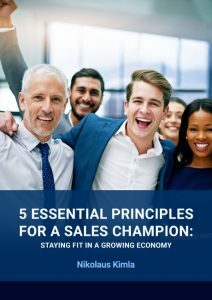 The five essential principles for any sales champion. What does fitness mean for a salesperson? Hint: it’s not just being buff. 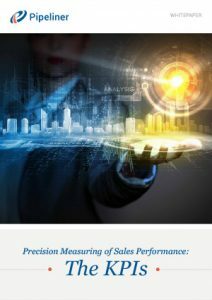 This white paper explains how sales performance must be measured with the right KPIs--and how Pipeliner CRM can greatly assist. 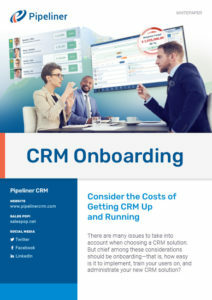 How fast and effective Pipeliner CRM onboarding can be, infographic demonstrates the speed and efficiency — a fraction of the time and cost of other CRM systems. 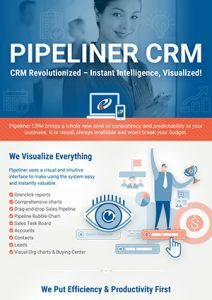 Here is an instant overview of Pipeliner CRM—the vital reasons that you need Pipeliner CRM for your sales organization and in your company. 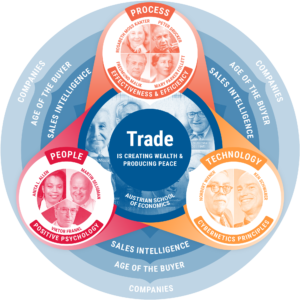 The right sales process design means you sell smarter, close more deals, and increase revenue. Prove it yourself with our step-by-step infographic. Pipeliner CRM is a worktool designed by salespeople, for salespeople. 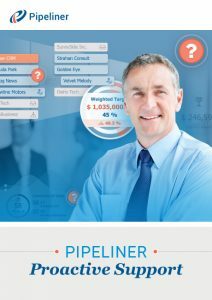 This slide-deck spotlights all Pipeliner CRM benefits. 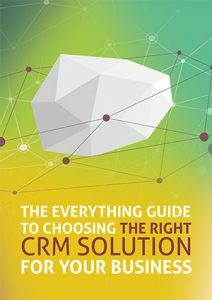 There are many facets to choosing the right CRM for your organization. Our comprehensive guide explains how to explore every angle and choose correctly. 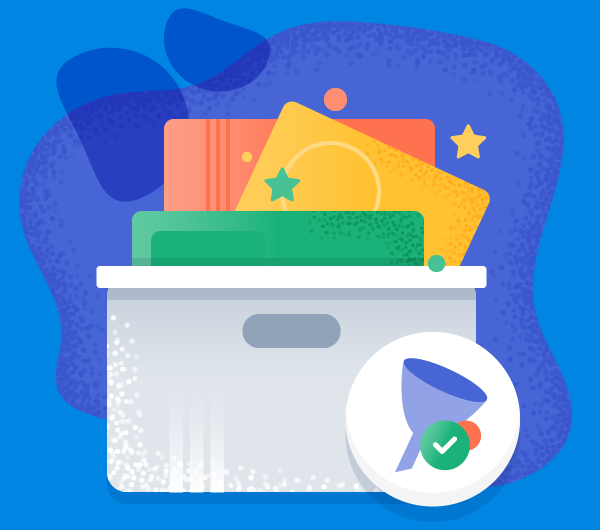 Getting ready to purchase a new CRM solution? Research the right topics & make a measured decision. 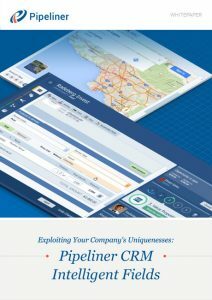 Pipeliner CRM is here to help with a downloadable checklist. 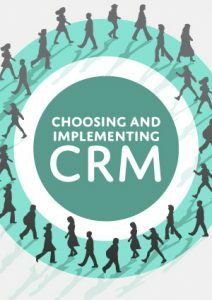 There are many issues to take into account when choosing a CRM. Chief among these should be CRM onboarding – implementing, training users and administration. 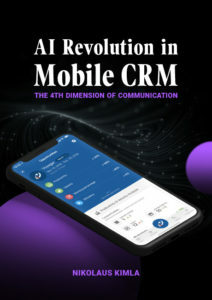 Part of a customizable CRM, an Intelligent Field displays data which has been automatically calculated using other data obtained elsewhere. 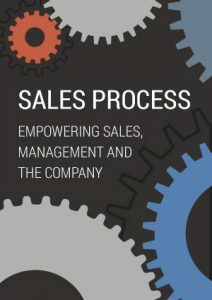 Thank you for downloading your free eBook "Sales Process Management". 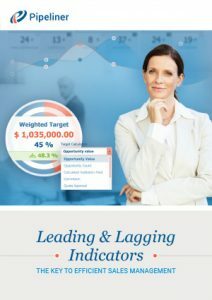 Sales management must be conducted through the right combination of leading and lagging indicators, so that management is precise, and catches issues well before they affect your final results. In line with our belief in the power of education, we educate our users, too. 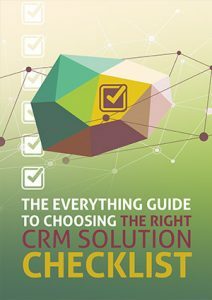 Download our free bonus checklist and enjoy the benefits of your own custom-built Sales Pipeline and Sales Process. 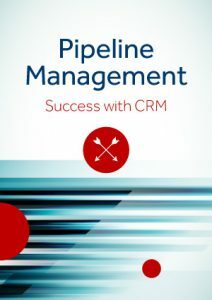 Pipeliner CRM is built on valid principles derived from Pipeliner Selling System. 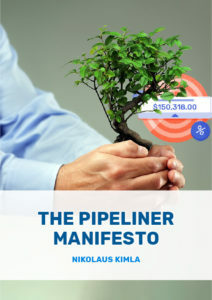 This ebook proves that every Feature and Functionality in Pipeliner puts this philosophy into action. 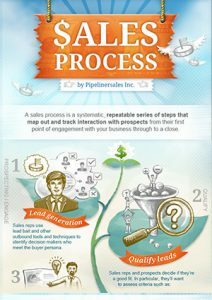 The reason salespeople need a sales process is because buyers follow exact journeys. 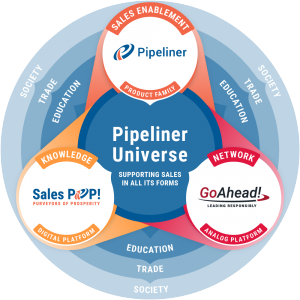 The Pipeliner selling system shows how to align those journeys with seller actions. Our company and our product are based on proven principles. 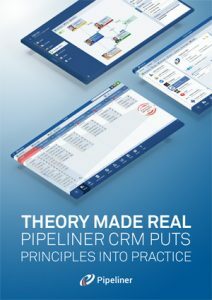 We turn those principles to practice in our CRM, we want Pipeliner CRM to be a tool for everyone. 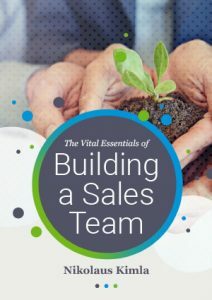 Start with the right steps of building a sales team, and everything else will come much easier. 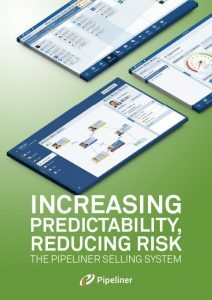 Both choosing and implementing a CRM solution should be done with the greatest of care. Here are the necessary steps to both. 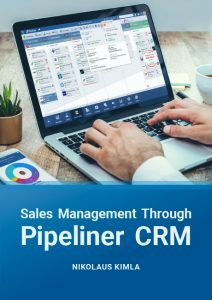 CRM has the potential to empower the sales force and improve sales overall, as evidenced by this free white paper on 2 B2B companies using Pipeliner CRM. 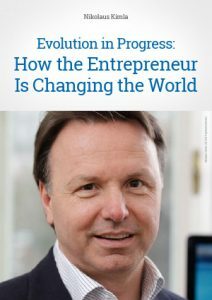 It is the entrepreneur who sees opportunities others miss, has the ingenuity to seize them and take advantage. It is through their actions markets are created. 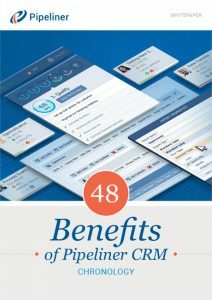 Pipeliner’s goals certainly include our flagship Pipeliner CRM product. But behind our CRM--and everything else we do--is a real cause. 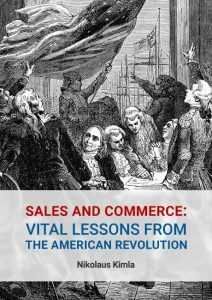 In this ebook, Nikolaus Kimla lays out some important lessons you can learn from this historic event. 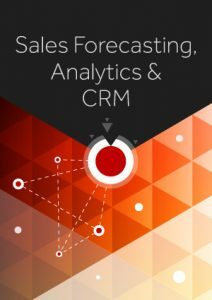 Sales forecasting means everything to a company’s bottom line. Here are some powerful basics to sales forecasting and analytics. The most productive way to shepherd leads through the pipeline is to categorize and nurture them prior to the sales handoff. 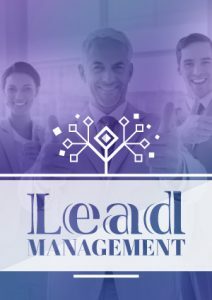 Our free ebook shows you how. 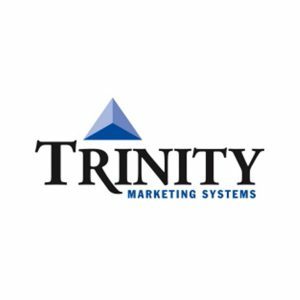 Understand the power of a well defined and smooth running sales pipeline with accurate metrics. 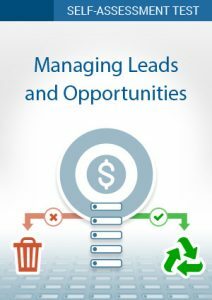 Use this knowledge to create more opportunities and generate the right leads. 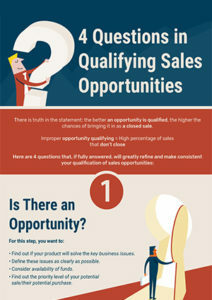 A smooth-running sales process is a key element of any sales strategy. But how, exactly, do you set about identifying the stages of your company’s process? Long-held economic principles bring fresh perspective to the role of salespeople in any organization. Their entrepreneurial spirit makes them uniquely powerful. 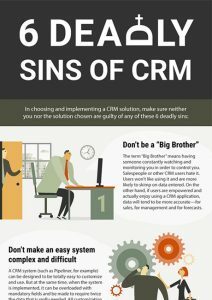 What is CRM? 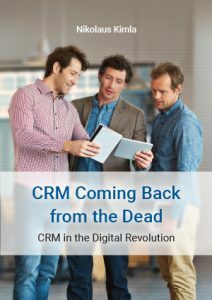 It’s much more than “that thing we use for customer relationships.” In fact, it had died and is now being reborn. 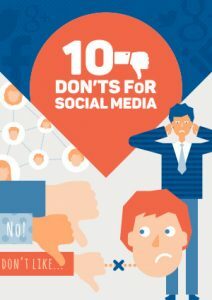 A poster with 10 great pieces of advice about how NOT to use social media. Build your brand the right way. 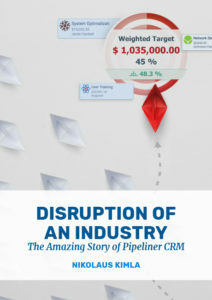 Pipeliner CRM story, the first CRM product developed to actually empower salespeople. 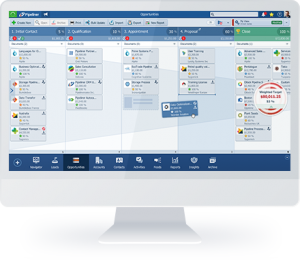 Pipeliner is a true sales enablement tool to reduce sales risk. How can we raise the perfection of the human being? 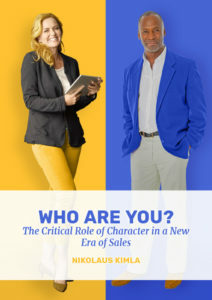 And more to the point for us, of salespeople? The answer is character. Better to have less well-qualified opportunities in the pipeline than an inflated number of badly qualified ones that skew forecasts for future sales.